Photo model sitting on our floor, how cool is that? I'd love to see someone pick this up and put it in a salon somewhere or at least tell me they are putting it some place cool. It's marked at $106 but if you come down, and this chair is still here, I'll make sure we go as low as $105. :) The price is just for this floor model though and for local pick up or delivery. 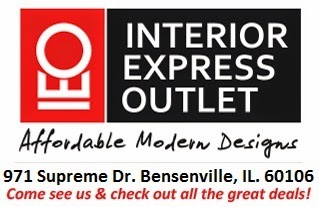 Chicago furniture stores at their best here!